Really nice. Much more better. Now there are no two opinions about the shape. Consider narrowing the space between the foreground and the mid-ground. The size of the figures in your mid-ground make it seem like there is a lot of empty space between your foreground and mid-ground. You could make the your mid-ground bigger. So guys, this is my… work. I kind of shot myself in the foot with this one. Usually I would not post such half-baked art. but I’ve learnt so much from watching you guys, that it is only fair to share some of my mistakes with you. Focal point is not so well defined and lost in all the other objects. Night landscape with lots and LOTS of lighting sources is hard to pull off on itself. In my attempt to draw an interesting landscape I went into too much small detail. Because of this “Look from afar” perspective, many of such details are too hard to define. I believe this one is unsalvagable. Hope it will be useful to someone. I think you did really great. The amount of detail is astonishing, yet it does not interfere with general perception. It is really cool that it cathes viewer’s attention even if you look at it briefly, yet there is more to see if you want to stop by and look through all the details. Hi! Your work looks good to me! I really don’t think you’ve made serious mistakes. I have one thought for the focal point: I think you want people to look at the giant mushroom on the mid-left? Perhaps you can try cool-warm contrast to let it stand out? 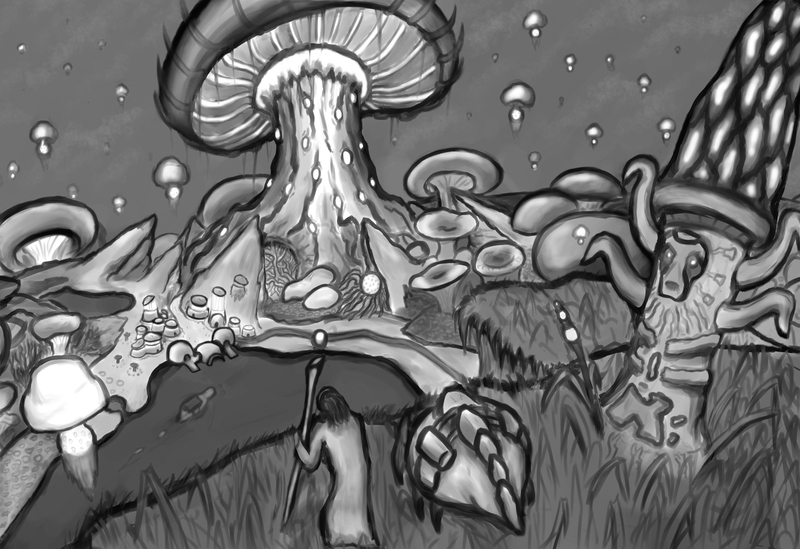 Just change the tone of mushrooms in the foreground to some cool colors but keep the focal one with bright yellow. I guess that might work? Haha! The little character on the “circle bridge” really helped me a lot understanding your scale. That’s why I thought about adding characters. Thanks, Yes you were right, it wasn´t clear at all before. Now it´s better. 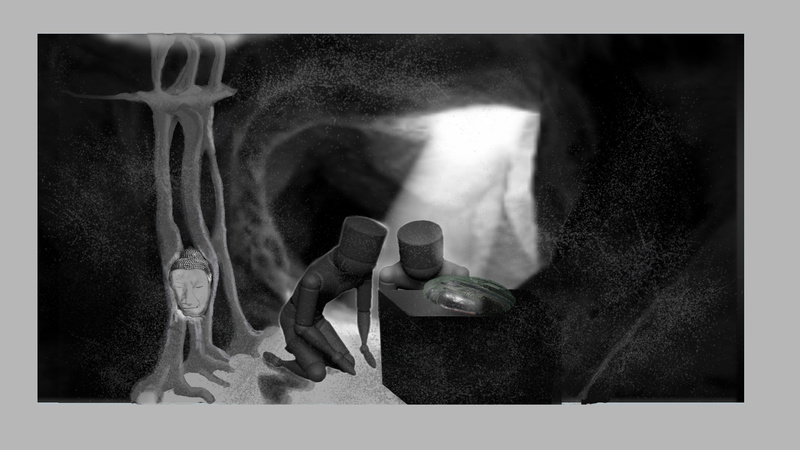 But I´m thinking about making these metal pieces somehow smaller, I´m not that happy with them at the moment. Wow, super awesome! Thank you so much for you help, I really appreciate it! I will see if I can add this to my final piece, again thanks a lot! 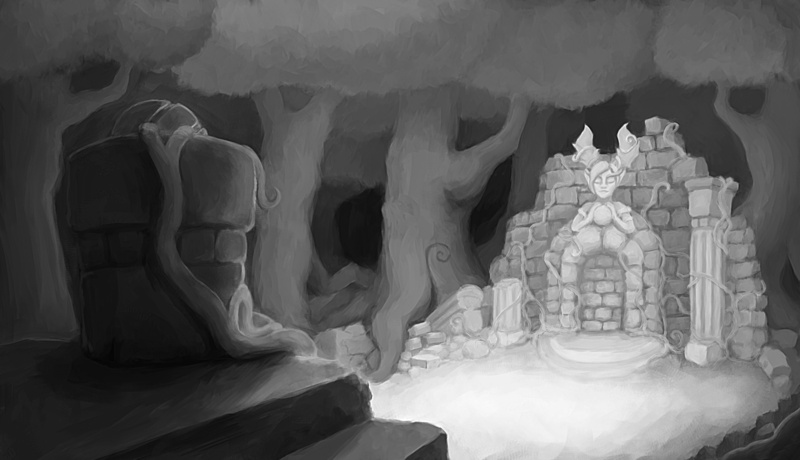 Hi guys, I’m late again, I will be pushing this to the grayscale tomorrow. Hope you’re all doing well. Cheers ! I am so late, but here it is. I was trying to add more elements to the composition this time. The principal idea is a Prision of Gods, so it has to be a massive place with powerfull elements to contain powerfull prisioners. 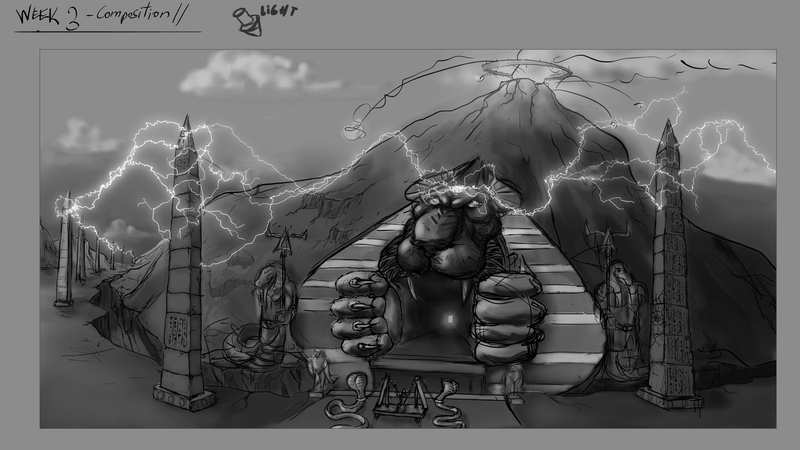 I putted some obelisks around the volcano, conected with electrical energy to the head of the entrance. The volcano is floating inside a massive hole, and it get closer to the border when is necesary. I am still want to incorporate more elements. I apreciate the critics. You are doing awesome guys!